After booking, you will be sent an e-ticket as a pdf attachment. For the ticket to be valid, it must be printed on A4 paper and you must carry it with you. The e-ticket is only valid for the person named and the period selected. It does not have to be additionally validated. 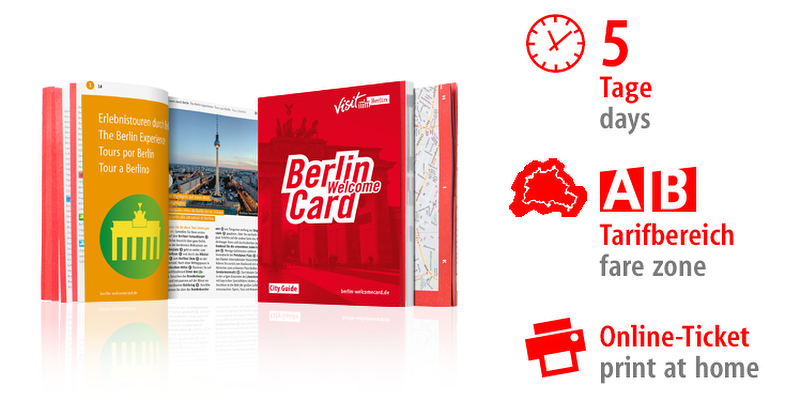 Remember to carry it with you at all times when using Berlin’s public transport system. The e-ticket is only valid if shown on request with an official photo ID. A rescission or exchange of the online ticket is not possible.